GRFC mosaics are designed to stand up to all weather conditions. Mosaics are a unique architectural design feature that adds beauty and uniqueness to a structure whether it is a floor mosaic or a wall mosaic. There are many more applications for mosaics that are now possible thanks to the availability of flexible materials like GFRC, which expand what is possible. You most likely have some idea of what a mosaic is and how they are used. Typically, it is a larger picture or design that is made from small pieces of stone, pottery, shells, colored glass or some other type of material. Rounded stones are used to create what are referred to as pebble mosaics created by the Greeks and Romans. Throughout history, many civilizations and cultures have included mosaics as part of their building design, including many religious applications in churches and mosques as well as synagogues. There are many ways to create a mosaic, but today’s creation of mosaics often involves careful planning and computer aided design to make these masterpieces. Production has gone as far as to use this computer aided design to direct robots to put these mosaics together. 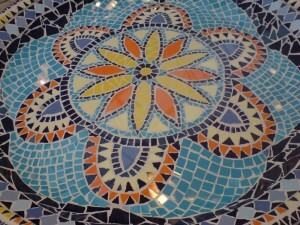 However, we still create our mosaics by hand and use GFRC to make just about any type of mosaic. Here’s how. Glass fiber reinforced concrete, known more commonly as GFRC, is a great solution for making a mosaic because it provides versatility, strength, durability and ease of use. As a lightweight material, GFRC can be applied to a wall for any type of building ornamentation without adding significantly to the building load. Despite weighing less, GFRC is anything but a lightweight when it comes to withstanding the elements, including water, wind, and seismic activity. Under tests, GFRC has not cracked under pressure, providing long-lasting beauty. Plus, GFRC can be made to look like anything, so your mosaic can take on the glossy look of glass or marble or it can have a more rustic charm of pebbles or other material. Stromberg Architectural has worked with GFRC for decades on a wide range of architectural products, including mosaics that have been used for a number of applications, including advertisements, building ornamentation, and corporate logos, just to name a few. Because of our experience with GFRC, we have an extensive knowledge of how versatile the material is and how it can be used to create just about anything. That means our team can make a mosaic as large or small as desired. It also means we can make your mosaic in any color, pattern, or design for a religious or non-religious application to be used anywhere. Leading the way in the manufacturing of GFRC products, Stromberg’s can create any type of mosaic you can imagine. To learn more about our GFRC mosaics or to get a free estimate, please fill out our online contact form or call 903-454-0904. One way to enhance the beauty of a downtown street, suburban neighborhood, or other commercial or residential district is to add tree grates in various sizes and shapes around the trees. Not only do these add a distinctive look, but they also help to protect the trees. While many are made in cast iron, Stromberg Architectural offers GFRC tree grates that provide the same beauty as cast iron but come with some incredible advantages over this traditional material. Tree grates have been in use for many years as a way to blend nature with the urban landscape. Allowing both people and trees to live together, these tree grates allow for pedestrians to walk near the trees while protecting the area where the tree is growing and offering additional drainage. The tree grates also provide the additional advantage of minimizing weeds and trash from accumulating around these tree areas. Tree grates typically come in various sizes, shapes, and styles, allowing for a custom look for the particular area that they are being used in. They can even have a logo integrated into the tree grate design for the city or company where it is located. Glass fiber reinforced concrete, known as GFRC, offers a number of advantages over traditional materials like cast iron. GFRC is a lightweight product, so it is easier to work with but does not compromise on strength or durability. In fact, GFRC tree grates have been made to withstand harsh climates and can even be installed under water without losing any of their integrity. Since GFRC is such a versatile material, it can be made to look like just about anything, including precious metals or quarried stone. You will not have to worry about any common problems that often occur with materials like cast iron or quarried stone. GFRC does not crack, nor does it rust or become vulnerable to corrosion like other traditional grate materials. Stromberg Architectural has many decades of experience in designing and manufacturing all types of grates, including tree grates, and working with GFRC to make beautiful, long-lasting, and lightweight products. There is no limit to the designs or patterns of tree grates that we can make for you. We can create virtually anything you imagine and incorporate a logo or specific company name into this tree grate design. The Stromberg Architectural team also has a strong knowledge of engineering, design, and technical specifications for these types of landscape products. Part of working with Stromberg Architectural involves regular consultations and ongoing communication throughout the design, manufacture, and installation processes. As a leader in the manufacturing of GFRC products, Stromberg Architecture can offer you the best options for your landscaping needs, including GFRC tree grates. To learn more or to get a free estimate for GFRC tree grates or any other GFRC product, please fill out our online contact form or call 903-454-0904. Concrete is one of the primary materials used for all types of surfaces that experience regular contact whether that means being walked on or driven on. Traditional pavers and walkways have used concrete, but now, with the emergence of new materials like GFRC, these applications are starting to migrate away from the use of traditional concretes because of the added benefits GFRC offers. GFRC, also known as glass fiber reinforced concrete, can be more effective than traditional concrete for many reasons. GFRC is lighter than concrete and requires less material. For example, it can be one inch instead of two inches and still deliver the same durability and strength, which is more cost effective and also more environmentally friendly. Also, GFRC actually uses significant amounts of recycled materials, making it a responsible choice. GFRC does not require as much heavy equipment or tools to work with in order to pave a patio, or walkway. Because of its strength and durability, GFRC does not crack as easily as concrete, plus it can be cut without concern that it could chip. This is one of the most important benefits because no one wants to look at a cracked walkway or patio. In the past, some cracks have just had to be accepted, but now GFRC removes that risk and offers a beautiful, long-lasting walkway, stepping stones or patio. The GFRC pavers can even be arranged to create stunning and unique patterns to further set them apart from others. GFRC is also a versatile material so that pavers can be made to look like just about anything, including a wide range of colors, textures, and designs. This means that GFRC pavers can be designed to fit the color scheme and style of any type of commercial or residential building project. This level of design freedom offers an unmatched advantage to ensuring that every aspect of a project is integrated. While there are companies out there that supply GFRC pavers, working with Stromberg Architectural involves many more advantages than just an extensive supply of GFRC pavers and custom GFRC pavers. The company has been involved in advancing the science of GFRC as well as offers a team of professional team of GFRC specialists who work directly with you during complimentary design consultations. The GFRC pavers also undergo rigorous quality control checks as well as have been submitted for lab testing to ensure their durability and quality. Other advantages include technical data sheets, technical consultations, and a gallery of projects that offer a wide range of ideas and showcase the capabilities that Stromberg Architectural offers. As a pioneer in the field of GFRC, Stromberg Architecture can offer you the most extensive range of products, solutions, and expertise available for GFRC pavers as well as other GFRC products. To learn more or to get a free estimate, please fill out our online contact form or call 903-454-0904. This custom sign from Stromberg’s truly makes a statement. Signage is a key component of any successful business as it helps customers and potential customers find you, offers critical information, and often serves as the impression maker for your business. In this way, signage is really a make or break for a business, so it is important to have an attractive, easy-to-read sign. Stromberg has been making fiberglass signage for decades, paving the way for incredible advancements in the use of this architectural material to create attractive signs that truly stand out. From existing signage options to original custom signage, Stromberg can offer a wide range of attractive and durable materials, an array of color and texture choices, and options that allow you to include text, insignia, and bas relief. Stromberg has expertise across all parts of the architectural fiberglass signage process. This includes custom design development, CAD drawings, models and maquettes and installation. WinStar Casino in Thackerville, Oklahoma was looking to revitalize itself and create something that would truly stand out. This included major renovations inside and out, showcasing a number of skills and production capabilities that Stromberg offers their clients. The casino is truly unique, offering 11 different sections that represent various famous buildings around the world with everything from Big Ben and the Palace of Westminster to the Roman Colosseum and the Pantheon. Throughout the entire structure, there are various signs and signage features to call attention to the casino and its various global architectural structures. 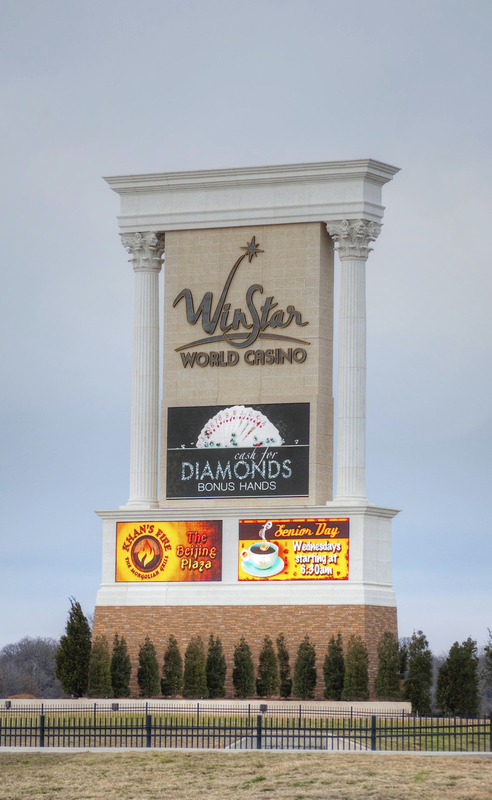 Stromberg’s created the GFRC adornment for the huge main sign at the entrance of the WinStar Casino grounds. We created the GFRC base, entablature and columns that accent the signage. The Corinthian columns were custom made as well as were the base and entablature. Using GFRC, each aspect of the signage was customized and integrated together to create the overall standout look for the casino. With the weather conditions and inclement weather in Oklahoma, the casino needed to use a material that was highly durable and could withstand the elements. In fact, GFRC often performs better than regular concrete. This is because it is made of minerals that will not burn or give into freeze and thaw conditions that come with extreme weather across the seasons. Also, GFRC is relatively light, which allows for great flexibility with signage. Even better, using GFRC for signage means that the signs and signage could be created in any color or texture as well as constructed as paint grade that was easily finished with paint. The results were numerous beautiful signs that stood out and finished off the overall aesthetic of the casino, attracting customers far and wide to the renovated structure. Furthermore, GFRC materials are environmentally friendly, including reduced impact on the environment and climate from the construction process and GFRC helps the casino operate as a socially responsible business in Oklahoma. The Stromberg Architectural Products team has created a wide array of architectural fiberglass signage for hotels, casinos, restaurants, shopping centers, office buildings and more. Now, we can help you get noticed with your signage. Get your free custom quote by calling 903-454-0904 or filling out our online form. Concrete furniture has been used throughout history as a solid, durable, and classic solution to various climate, weather, and manmade conditions. One place where materials like GFRC are now being used is with ecclesiastical furniture to provide a beneficial, long-lasting, and cost-effective answer for churches and other religious structures. GFRC (glass fiber reinforced concrete) has many benefits that make it a worthwhile material for ecclesiastical furniture that comes into contact with numerous people and environmental hazards but that must withstand them and maintain their beauty when there are not funds to continually replace that furniture. GFRC does this and more. GFRC ecclesiastical furniture can be made to look like just about anything and for furniture that is used indoors or outdoors. Nearly any type of finish can be created, including wood, marble and granite, stone and more. Although considered a very lightweight material, which makes it easy to work with and install, it has the durability and flexural strength to withstand just about anything, including constant use, weather elements, extreme changes in temperature and humidity, fire and even earthquakes. Cemetery furniture, including seating, mausoleums, and more. All of these ecclesiastical furniture products can be customized to your size and detail specifications. You can work with a team of GFRC specialists who understand how to design exactly what you have in mind. Our service and support includes design, drawing, and specification assistance as well as models and maquettes, prototypes and production, and complimentary consultations. We can even install the ecclesiastical furniture, if necessary. Stromberg Architectural has worked with a number of cathedrals, churches, and other religious organizations around the country and world, providing them with high-quality, customized GFRC ecclesiastical furniture that fits their specifications, needs, and budgets. With over 30 years of experience working with GFRC, the Stromberg Architectural team can help clients understand what works and what is possible with such a flexible material. As a pioneer in the field of GFRC, Stromberg Architectural has a gallery full of products and examples of completed projects. If you are looking for a material that can withstand the test of time while offering aesthetically pleasing ecclesiastical furniture for your church, cathedral, seminary, religious school, mosque or synagogue, please fill out our online contact form or call 903-454-0904 to receive more information and a free estimate. Custom designed GFRC memorial urn by Stromberg’s. Concrete has traditionally been used to create memorial structures, including urns, headstones, tombs and mausoleums. However, concrete, despite it being somewhat durable, does begin to be impacted by the elements and weather. Since all these memorial products are typically outdoors, this can create a problem over time. Yet, new concrete materials, such as GFRC, are addressing these issues and providing more possibilities when it comes to designing memorial products. Glass fiber reinforced concrete or GFRC offers numerous benefits that traditional concrete cannot deliver. This includes being made into any shape, size, finish, texture or color. GFRC is also very lightweight yet offers flexural strength and durability that goes well beyond heavy concrete. With these benefits comes the advantage of withstanding extreme temperatures, fire, earthquakes, wind and rain. Standing the test of time, memorial products made from GFRC do not lose their look and may not have to be replaced. • Benches: Our GFRC benches can be used in memorial gardens and cemeteries as a place of quiet reflection. The benches can be inscribed or enhanced by numerous architectural details. • Urns: Urns are typically found in memorial gardens and cemeteries in all types of sizes and designs. They can be filled with greenery or used on their own as part of a memorial building or mausoleum. 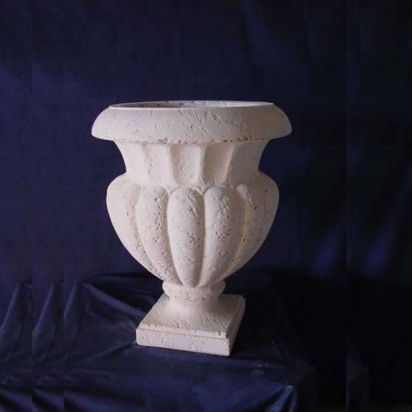 With GFRC, the urns can be made to look exactly like everything from solid gold and copper to terra cotta, limestone, and concrete. • Headstones: Headstones can be designed as any shape or size as well as be made to appear like any number of natural stones. The headstones can also be inscribed to maintain the memory of your loved one. • Mausoleums: Larger cemetery structures like mausoleums can also be made from GFRC, including designs that emulate any architectural style and even those that are highly intricate in pattern and carvings. These GFRC memorial products can be custom made to any size, shape, color and design specification. This is because working with Stromberg Architectural means you can order directly from the manufacturer. Our services include drawings and design assistance, CAD drawings, and models and maquettes to ensure you get exactly what you envision for your memorial site. The GFRC memorial products can be shipped anywhere across the country or world direct from the manufacturer. Upon arrival, the GFRC memorial products are easy to move into place and install, reducing time and expense while offering the desired effect. Whether you are a church, cemetery, or someone simply looking for a beautiful headstone to remember a loved one, GFRC can provide a cost-effective solution. To help you decide exactly what you want for your memorial structure or memorial product, contact us today so we can show you what is possible. To get started, simply fill out our online contact form or call 903-454-0904 for information and a free estimate. Table and benches made from Stromberg GFRC. Concrete furniture has been around for a long time, but it is now being more commonly used thanks to the development of GFRC. Besides its unique look, GFRC furniture is being recognized for a number of benefits that make it a value-added solution for many design concepts, including garden furniture. GFRC, or glass fiber reinforced concrete, can take on the appearance of just about any type of natural stone but weighs just a fraction. Its durability and flexural strength to withstand the weather elements makes it the perfect choice for garden furniture. Whether it is extreme temperatures, rain, wind, earthquakes, fire or some other element, GFRC garden furniture is built to last. •	Benches: Our GFRC benches are available in a range of materials and are perfect for gardens, pool decks, and commercial applications like parks, shopping plazas, and more. They can be enhanced with a stylized and ornate design or text in a smooth or textured finish. •	Fountains and Fountain Pools: Our GFRC fountains and fountain pools can be made into any size or design to fit all garden sizes – from small residential yards to grand exterior spaces. All our designs or your own ideas are sure to create a soothing oasis. •	Gazebos: A favorite garden feature, a gazebo is a great place to enjoy a view or romantic repose. They create a comfortable place to sit and can be made as an open feature or constructed with walls for more privacy. 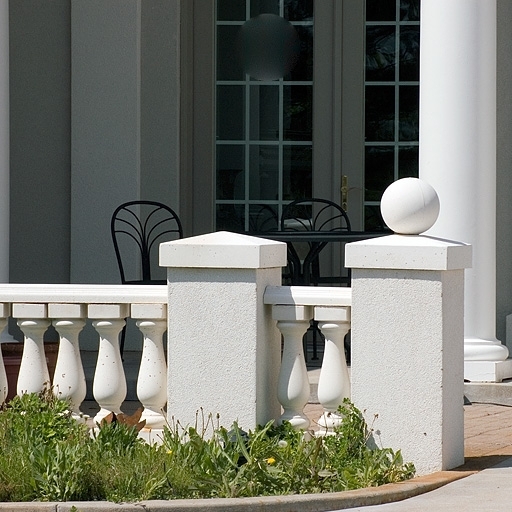 Even Roman-inspired columns, textured roofs, finials and molding can be added to customize your gazebo. •	Planters: One way to add a lush feel to your garden is through the addition of planters that can hold trees, foliage, or flowers. GFRC planters can be made into any design, including the highly ornate, elaborate patterns, and complex shapes. •	Sculptures: Depending on how fancy you want your garden to be, we offer all types of GFRC sculptures, including animal and wildlife, classical figures, sacred and religious figures and marine life just to name a few of the choices available. They can be made into any texture – from cast iron to marble. 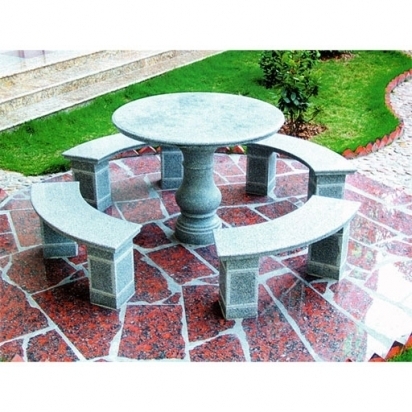 •	Tables: Another great garden feature is a table to enjoy the view or share an outdoor meal. Our GFRC tables can be made to look like quarried stone for a unique look. The tables can be accompanied by stool or bench-style seating to complete the effect. All of these products are custom made to your size and design specifications. Ordering direct from the manufacturer affords you the opportunity to create anything you want to fit your garden design and landscape at a wholesale price. As an innovator in GFRC, Stromberg Architectural has completed thousands of projects and custom made numerous GFRC products, including all types of garden furniture. If you are looking for a great alternative to natural stone for your outdoor garden features, fill out our online contact form or call 903-454-0904 for information and a free estimate. 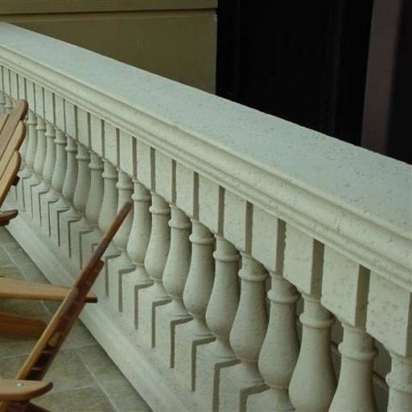 GFRC can be used in place of concrete for many architectural uses, including balustrading. Precast concrete is a construction product often used for a wide range of structures and architectural applications, including wall panels, planters, column covers, window surrounds and more. This blog explains how precast concrete is used and how precast stone products like GFRC are a good substitute for the precast concrete. Precast concrete is nothing new in the world of construction. In fact, it has been around since Ancient Roman times when builders used concrete and poured it into molds to build complex structures, including tunnels and aqueducts. In the early 1900s, precise concrete panels were first used for buildings. From there, the use of precast concrete products and applications spread around the world. The material has been used for everything from agricultural products, retaining walls, and utility structures to transportation and traffic products, paving, and panels. Why Choose GFRC over Precast Concrete? Over time, other products have been developed that emulate the capabilities of precast concrete but that offer significant advantages over this existing product. One of these newer materials is GFRC, a concrete that uses glass fibers instead of steel and contains aggregates and polymers for reinforcement and durability. The glass fibers do not rust like the steel found in precast concrete, so there is no need to apply a protective cover of additional concrete over any of the structures that are being cast. That only adds weight. Since GFRC is thin and hollow, it weighs a fraction of precast concrete. In fact it weighs 80-95% less than solid concrete. Its lightweight helps to reduce transportation and installation time and costs as well as provides for more design freedom. GFRC is a more flexible material so it can be made into virtually any shape used for a wide range of applications. Stromberg Architectural has pioneered its use in many areas where precast concrete could not be used, such as sandwich panels, security and noise barriers, marine structures, sunscreens, storage tanks, bus shelters, floating pontoons and cable ducts. Additionally flexibility with GFRC comes in the form of cast-it colors, stains, glazes, paint and texture. GFRC has a much lower impact on the environment than regular concrete because its ingredients are friendlier to the earth not to mention it lasts longer, shrinking your construction project’s carbon footprint. Unlike concrete, which can be vulnerable to weather erosion, freezing and thawing, and water, GFRC is more durable. Its superior strength has also enabled GFRC panels to withstand hurricane-force winds and seismic loads. With over 1,400 successful projects completed during the last 30 years, Stromberg Architectural can help you leverage the advantages of GFRC for your construction projects. Our experience has helped to solve numerous design challenges for our clients, including developing solutions for underwater projects to high-rise cladding. Contact us today for a free estimate by filling out our online contact form or calling us at (903) 454-0904. In the last few decades, architectural GFRC panels have been used by architects, contractors, and building owners for a wide range of building types. With a range of finishes, faces, shapes, and sizes, Stromberg Architectural Products has the engineers and experience to deliver the GFRC cladding panels you need for your upcoming building project. 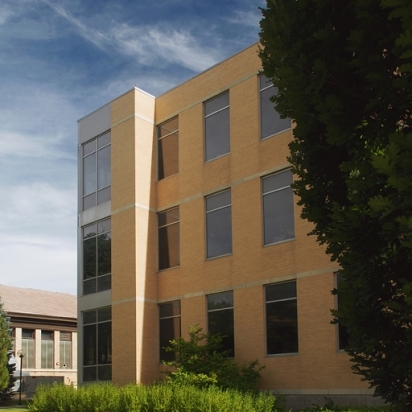 GFRC cladding panels are panels made from a Portland concrete shell and aggregate that has been reinforced with alkali-resistant glass fibers, which add flexural, impact, and tensile strength. This combination of materials makes the GFRC panels both lightweight and strong. The GFRC panels are then attached to a steel stud frame, which provides the necessary structure and facilitates connection to the frame, and delivered to the construction site. The panel finish options include everything from cast stone or limestone and smooth concrete to brick, exposed aggregate, stucco and carved stone. Two or more finishes can be included on the same panel while color can be added to the finish or the cladding panels can be painted later on in the construction project. Withstands rot, termites, fire and most type of natural disasters, including holding up to Category 5 hurricanes and earthquakes. In addition, GFRC cladding panels are noted for their aesthetic value, offering a high-quality and high-end appearance for both existing and new buildings. The solutions-oriented engineers and architectural artists at Stromberg Architectural Products are with you through the entire GFRC cladding or GFRC re-cladding project, including development and detail planning to production and installation to after sales service and support. Our team of GFRC cladding panel specialists has over 25 years of experience and has completed more than 1,600 projects. Contact them now to get started on your GFRC cladding project by calling (903) 454-0904 or fill in the online form to receive a free custom quote.